Buy SS Lazio Tickets Now! 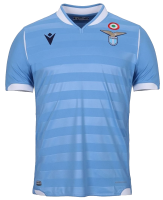 SS Lazio 2018/19 Tickets Are Available! Founded: 1900. Nickname: I Biancocelesti (The White and Sky Blues), Le Aquile (The Eagles). All Time Top Goal Scorer: Silvio Piola (149). Based In: Rome. President: Claudio Lotito. Overall Most Appearances: Giuseppe Favalli (401). League: Serie A. Manager: Simone Inzaghi. Main Rivals: AS Roma, SSC Napoli, Livorno, Pescara, Atalanta. Venue: Stadio Olimpico. Captain: Senad Lulić. Major Honors: 2-Times Seria A Winners | 6-Times Coppa Italia Winners| 1-Time UEFA Super Cup Winner. Kit Manufacturer: Macron. Colors: White and Sky Blue. Key Players: Lucas Leiva, Sergej Milinković-Savić, Ciro Immobile. Main Sponsor: Marathonbet, Sèleco. Team Mascot: Eagle. Last Season: Seria A: 5th Place | Coppa Italia: Semi-finals | UEFA Europe League: Quarter-finals | Supercoppa Italiana: Winners. Football Ticket Net offers all SS Lazio home & away fixtures for 2018/19. Please browse through the selection of tickets on offfer and choose the right ones for you. The choice is huge. Please be aware that all SS Lazio fixtures are subject to change date and time, which is out of our control. Please note that Football Ticket Net is not connected to SS Lazio or to any official organization such as the Italian Serie A, or Coppa Italia.